One of the biggest announcements to come out Microsoft's E3 press conference was the reveal that the Xbox One would be releasing in November at a launch price of $499. Considering some of the controversies already surrounding the console, some had their doubts that a price tag that high could find success among consumers. These doubts were only amplified by Sony's reveal that the PS4 would cost only $399. That said, Microsoft is still confident in its success and thinks gamers will be won over by the value offered by the Xbox One. "[$499] is a lower number than some of the analysts had forecasted," said Don Mattrick, head of interactive entertainment for Microsoft. "We're over-delivering value against other choices I think consumers can get. Any modern product you look at these days and $499 isn't a ridiculous price point. We're delivering thousands of dollars of value to people so I think they're going to love it when they use it." 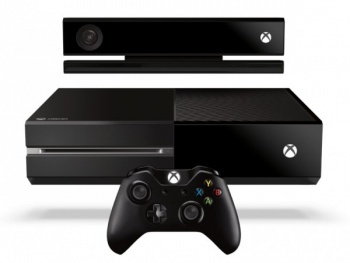 According to Mattrick the Xbox One will provide a unique combination of "devices and services" that will include Xbox Live, Kinect and SmartGlass, among other features. No one is denying that the Xbox One, even with its restrictions in tow, will be a machine with some considerable assets to offer consumers. The thing is, if said consumers, can't afford those assets it doesn't really matter how many thousands of dollars you're packing into your console. At the end of the day $499 is still a lot of money to ask, especially when consumers have comparable competitors selling for less.